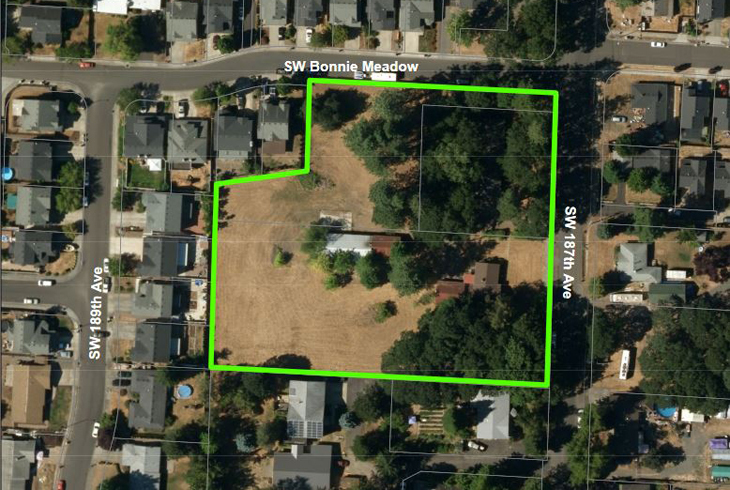 This site is composed of three tax lots at the southwest corner of SW 187th Ave. and SW Bonnie Meadow Ln. 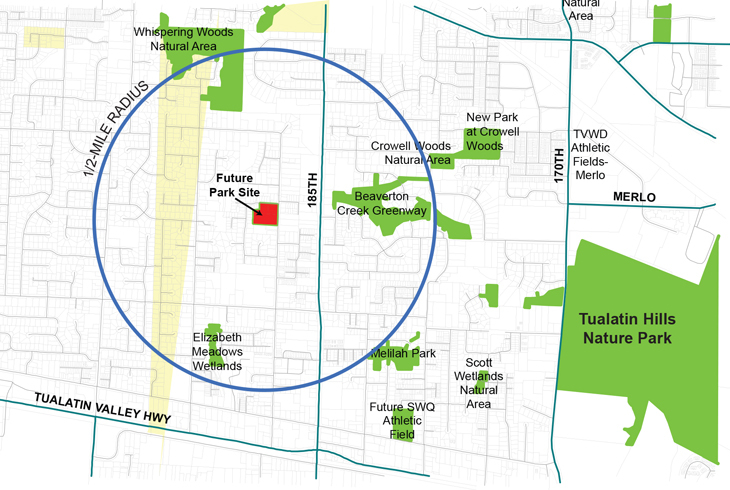 Nearby THPRD amenities include the Crowell Woods Natural Area (to the northeast), the Beaverton Creek Greenway (to the east) and the Tualatin Hills Nature Park (to the southeast). Have a question for the project team or a suggestion for the park name? A Neighborhood Open House to review the draft preferred master plan was held Wednesday, June 27th at 6 pm at the Howard M. Terpenning Recreation Complex, Dryland Conference Room. The plan was well received and overall the attendees appreciated how well the combination of the two alternative plans incorporated the comments from the survey and previous meetings. The board of directors approved the preferred master plan at the August 7, 2018 meeting of board. 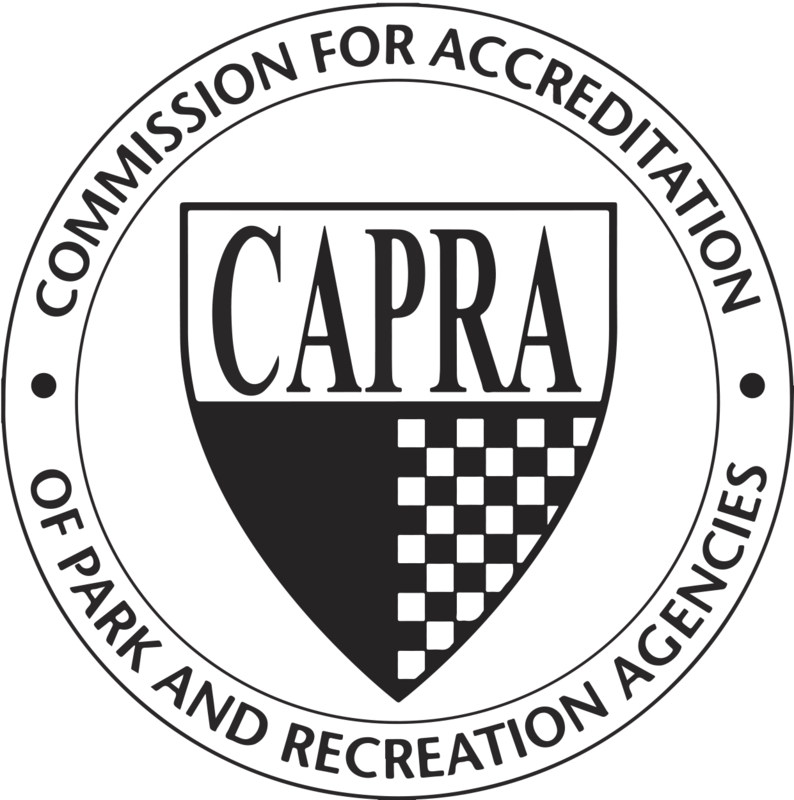 Staff and ESA, our design consultant will be kicking-off the design development phase of the project and will hold another public meeting in early fall to seek input on the design of the play area and uses of the multi-purpose sport court. We are anticipating submitting the Site Development application to the County in late 2018. The two alternative master plans and the approved master plan are available in the document section on the right side of this page. Help us develop your new neighborhood park! 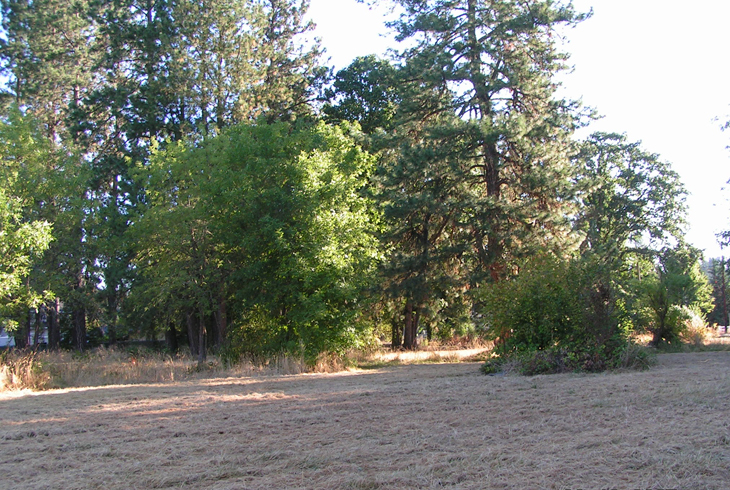 Tualatin Hills Park & Recreation District is developing a new 2.5-acre park in the Aloha-Reedville area. Upon completion in 2020, this park will serve thousands of underserved residents in a diverse, mixed-density residential neighborhood. Community input is an essential component of our planning and design process. We will thoughtfully engage with park neighbors and other district residents to ensure that this park's master plan is informed by the community's needs, desires and concerns. The entire site is relatively flat. 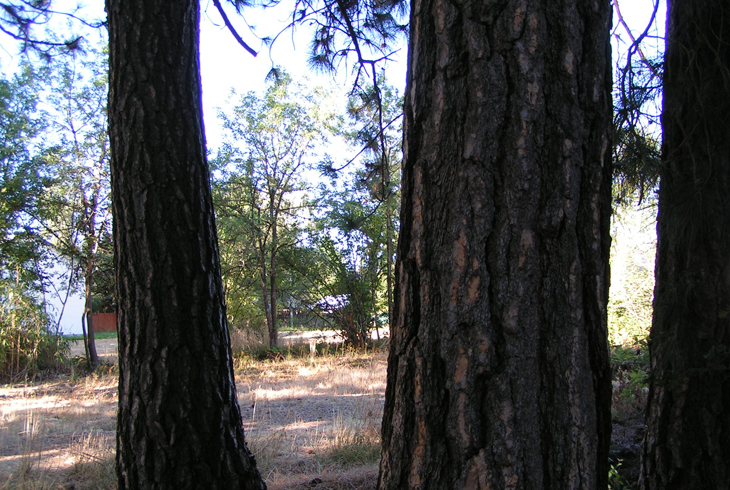 The northern end and the southeast corner are covered by a canopy of oaks, firs and ponderosa pine trees, while the remaining property consists of open field. 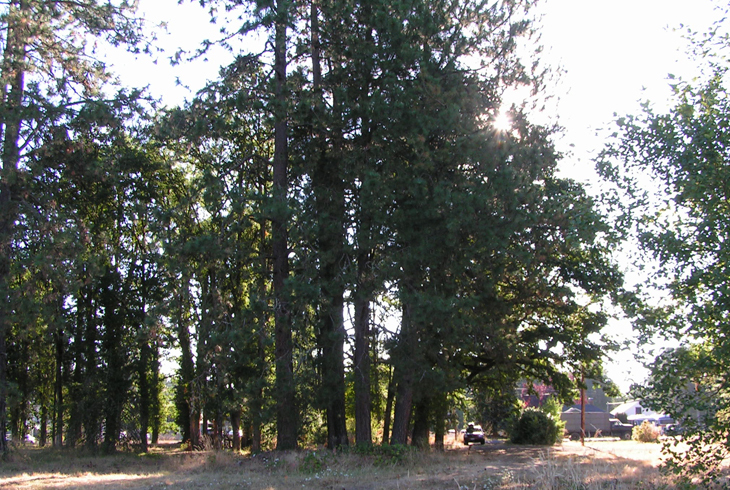 In 2014, the property was acquired by THRPD with 2008 bond measure funds earmarked for new park acquisition. At this site, F.N. Mitchell became a recognized authority in poultry raising, and later manufactured wire baskets. Mitchell Wire Products produced and shipped up to 50,000 baskets a year to destinations around the world. The planning phase, shown in this timeline, begins in the Fall of 2017 and will be completed in the Spring of 2018. During this phase, public input will guide the development of the park's master plan. Construction is scheduled for 2020. 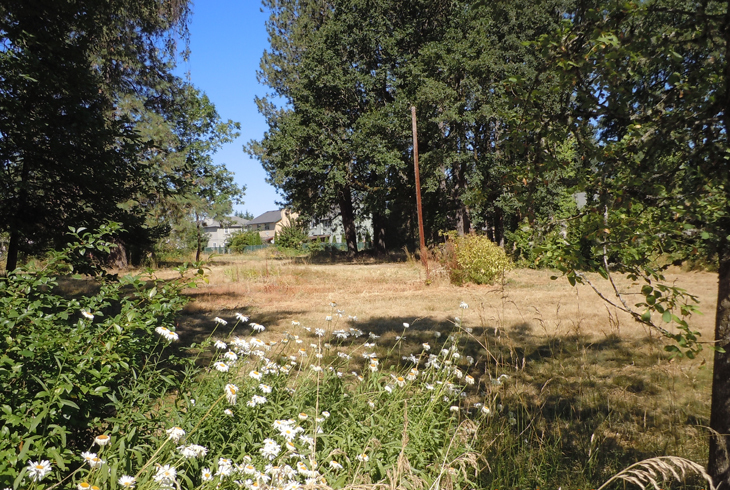 More than 30 residents recently participated in three community conversations designed to give neighbors and park advocates an active voice in the planning for a new 2.5-acre neighborhood park in Aloha.